Each time we create some post in the WordPress along with some attachment it will not only create a URL for the post but also for the attachment. 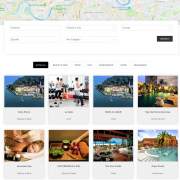 For example, a post with an image; both the post and attached image has different URLs and also marked as a separate entity by the Google crawler. This will become a little problem in the Google search because both URLs will show the same post name in the Google search results. The interesting thing is you don’t which one ranked successfully in the search results. So, suppose your WordPress-attachment page has ranked successfully by the Google in searches but wait it is just a page of attachment and when a user clicks to open it what he/she sees is just an attached image… Now you can imagine how it will increase bounce rate and affect the loyalty of readers. So, here in this post will let you know how to redirect attachment URLs of WordPress post to the original post. It is one of the simple methods to quickly redirect-image-URL of all attachments pages to the original post corresponding to them. 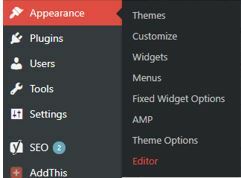 Go to Appearance option given in the left side menu of your WordPress dashboard. Select your current theme from the drop-down box given on the right side. 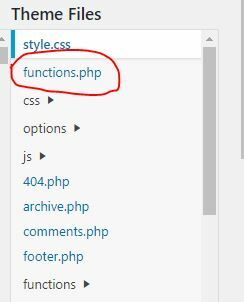 Click on the Funtion.php file from the right side pan to access its codes. Now copy the below-given code and add it at the end of function.php without altering any other code. After adding the code click on the Update file button. Now you can check any attachment page you will see it automatically redirected to the post’s parent page. If you think that you don’t want to redirect all image or attachment file pages URLs to the original post and need for any particular post then here are the steps to follow. Open the post where you attached the image or any other file. Click on the image and you will see the pencil icon on the top of it to edit. You can also edit the attachment or image from the media gallery. Now under display settings option, you will get the Link to drop down box select the Attachment page. This will link that image to the original post where it has been attached. Also, if you want to make this default for you all upcoming attachment files those you are going upload. Then after uploading an image just before inserting that to a post select Attachment page option and this will marked as default for all your upcoming uploads. If you think the above two givens methods are a bit tricky then you can simply install a plugin that will redirect attachment pages to post pages. When the plugin appears, click on the Install Now button. Once the Plugin installed click on the Active button to activate the plugin. After activating the plugin it will automatically start redirecting your attachments pages URLs you don’t need to any further settings and that’s why it is simplest to handle attachment redirections. On the left-hand side menu of WordPress click on the SEO. As you click on the SEO it will expand to reveal further options. Select the Search Appearance option. 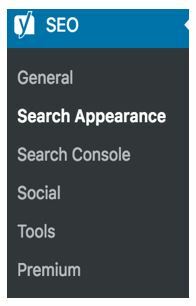 Now from the Search Appearance-Yoast SEO page select the Media Tab. Scroll down to find the Media & attachment URLs option. And this will automatically redirect the attachment URLs to the image itself. In this way, you can disable the WordPress attachment pages to redirect them to the pages where really they are attached. If you have any issues or questions the comment section is all yours!! Thank you rajkumar.İ had 1200 attachment pages.You solve my problem.i try with function.php. Because yoast didnt help for it. Thank you for this. Saved us from a lot of time. What about exclusions? Can we add exclusions to certain urls like a pdf file that I have set as an attachment? This will not affect the PDF attachments. They will open as they usually were.